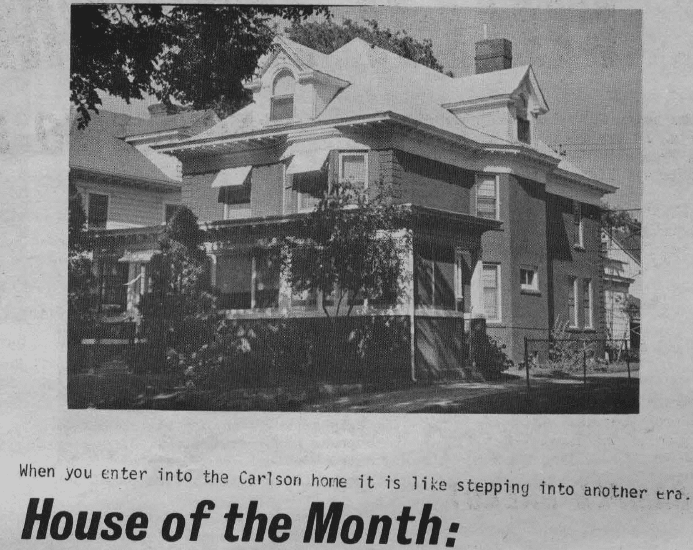 Luther Carlson’s house at 2301 Colfax. 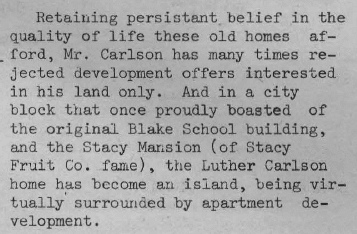 For Luther Carlson (Longtimer, Class of ’72) 1938 was the bad old days; a time when houses were ill-maintained, and children were scarce. Luther refused to sell out, despite being a virtual island in a sea of transients. We present his story below. 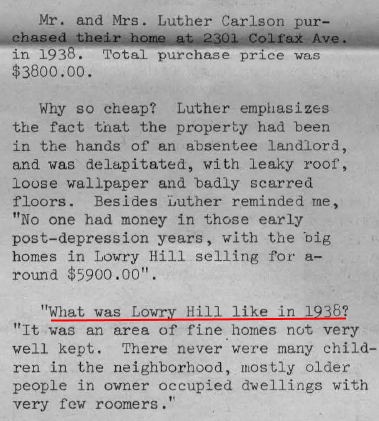 Read the full story of Luther and his home at 2301 Colfax.